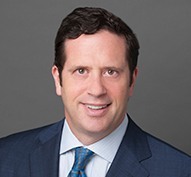 Gibson Dunn | Cohen, Joel M.
Joel M. Cohen, a trial lawyer and former federal prosecutor, is Co-Chair of Gibson Dunn’s White Collar Defense and Investigations Group, and a member of its Securities Litigation, Class Actions and Antitrust Practice Groups. Mr. Cohen has been lead or co-lead counsel in 24 civil and criminal trials in federal and state courts. Mr. Cohen is equally comfortable leading confidential investigations, managing crises or advocating in court. Mr. Cohen’s experience includes all aspects of FCPA/anticorruption issues, insider trading, cross-border tax issues, securities and financial institution litigation, class actions, sanctions, money laundering and asset recovery, with a particular focus on international disputes and discovery. Mr. Cohen was the prosecutor of Jordan Belfort and Stratton Oakmont, which is the focus of “The Wolf of Wall Street” film by Martin Scorsese. He was an advisor to the OECD in connection with the effort to prohibit corruption in international transactions and was the first Department of Justice legal liaison advisor to the French Ministry of Justice. Mr. Cohen is rated in Chambers, where practitioners and clients have noted that he has “incredibly strong substantive depth melded with a risk-based practicality,” “strong trial skills and handling of large-scale investigations,” is “very, very smart and very knowledgeable,” and praised his ability to “handle very intense, complex matters with regulatory authorities and really just deliver great results.” Mr. Cohen has been repeatedly named a leading white collar criminal defense attorney by The Best Lawyers in America©, a “Litigation Star” national Top 100 Trial Lawyer by Benchmark Litigation, an “MVP” by Law360, one of the world’s leading practitioners in White Collar Crime in Euromoney’s Expert Guides – White Collar Crime, a “Super Lawyer” in Criminal Litigation, and his work is noted by Legal 500 in the areas of white collar criminal defense and securities litigation. In addition, The American Lawyer named Mr. Cohen as one of its Litigators of the Week after winning a jury defense verdict in an insider trading case on behalf of Nelson Obus, general partner of Wynnefield Capital. Mr. Cohen was featured in The American Lawyer’s 2016 award of “White Collar/Regulatory Law Firm of the Year” to Gibson Dunn for his Obus trial victory. Noting that his client was “in awe” of his trial and cross examination skills, The American Lawyer linked the trial victory with the SEC’s decision days after the defense verdict to avoid jury trials and seek administrative actions in the future. Winning a jury trial in the closely watched Securities and Exchange Commission v. Obus insider trading matter on behalf of Wynnefield Capital and its chief portfolio manager after a 12 year battle with the SEC. Obtaining summary judgment for Citi in a class action seeking more than $13 billion in damages for its alleged role in the Parmalat collapse. Winning a jury trial for AllianceBernstein in which the Florida state pension fund attempted to recover $3.2 billion in losses sustained in Enron and other stocks, and successfully defending the same client in other significant Enron-related litigation, one of which resulted in an award of attorney’s fees and costs for his client. Mr. Cohen previously was Head of U.S. Litigation at Clifford Chance, where he practiced from 2004 to 2009. From 1999 to 2004, he practiced with Greenberg Traurig. From 1992 to 1999, he served as Assistant United States Attorney in the Eastern District of New York, supervising the Business/Securities Fraud Unit, where he received numerous awards from the Department of Justice and law enforcement agencies. Mr. Cohen received his bachelor’s degree from Middlebury College, his master’s degree in History from Duke University and his Juris Doctor from Duke University Law School, where he was a moot court champion. He is a member of the bars of New York and Massachusetts. Mr. Cohen is committed to pro bono work. He serves on the board of or acts as outside counsel to several prominent nonprofit entities, including as Board Chairman for Lawyers Without Borders, Jericho Project, The Brooklyn Historical Society, and the National Center for Law and Economic Justice. He successfully led a team of Gibson Dunn attorneys in representing all plaintiffs in a high-profile immigration civil rights case (Barrera v. Boughton) in Connecticut federal court, which resulted in the largest settlement in history for such claims, for which Gibson Dunn was awarded the National Legal Aid & Defender Association’s Beacon of Justice Award, and The New York Times noted the accomplishment in an editorial, and his team received the National Law Journal’s Hot Pro Bono designation. He currently is litigating First Amendment claims on behalf of dairy industry migrant workers against ICE and Vermont authorities who allegedly stifled their First Amendment rights. Major U.S. bank: Representation of Major U.S. bank in European criminal tax proceeding. Major U.S. bank: Representation of Major U.S. bank in Brazilian/U.S. investigation. Major European Insurance/Asset Management Company: Representation of Major European Insurance/Asset Management Company in global cross-border tax matter. Major European bank: Representation of Major European bank in U.K. Serious Fraud and DOJ matter. Och-Ziff: Represented Och-Ziff, the publicly-traded asset management firm, in connection with DOJ and SEC investigations relating to investment activity in Africa and elsewhere. After five-year investigations, successfully negotiated settlements allowing for deferred prosecution for parent entity, in one of the most-closely followed FCPA matters in years because of its impact on the investment and asset management sectors. Nelson Obus and Wynnefield Capital: Achieved trial victory and exoneration for Nelson Obus and Wynnefield Capital, a prominent hedge fund, in one of the longest fought insider trading cases in history. Nelson v. Obus. CEO of major public U.S. Alternative Energy Company: Represented the CEO of major U.S. Alternative Energy Company in connection with DOJ and SEC investigations and over thirty securities and employment cases. Major U.S. telecom company: Successfully resolved two separate SEC investigations involving alleged securities bond market activity and data security breaches, both ending with no charges. Fortune 100 Major Public Wireless and Broadband Company: Prevailed in civil action against major Mexican television and cable company in New York Supreme Court (Manhattan), recovering over $50 Million for client after expedited proceedings. European bank: Representing the Global Head of Treasury in DOJ LIBOR investigation. European bank: Represented senior management and employees of a European bank in a large U.S. economic sanctions investigation. European bank: DOJ FIRREA mortgage fraud investigation. Moody’s: Successfully defended Moody’s in two matters concerning its ratings of structured investments. Abu Dabi Commercial Bank v. Moody’s et al. Duke Energy: Represented Duke Energy legacy board of director members in connection with outstanding derivative and class action litigations and a resolved regulatory matter arising from the Duke-Progress corporate merger. North Carolina Utilities Commission/Duke Energy. UBS, Citi and Lazard: Successfully defended UBS, Citi and Lazard in a class action (and related SEC inquiry) alleging violation of federal securities laws in the underwriting of the $165 million IPO for SinoTech, a Chinese issuer delisted from NASDAQ following allegations that SinoTech was a shell operation. Athale v. Sinotech. Allianz SE: Obtained a rare declination to prosecute from the Department of Justice and highly favorable SEC settlement on a cease-and-desist basis, in which both agencies were convinced not to proceed on an aggressive “private equity liability” theory relating to FCPA-related issues. SEC v. Allianz SE. Major Global Oil and Gas Service Company: Represented client involving reviews in more than a dozen countries, on five continents, resulting in no charges brought anywhere globally. Private equity and investment management funds: Represented several private equity and investment management funds in connection with SEC and Department of Justice FCPA-related investigations. AllianceOne: Acted as monitor counsel for AllianceOne in connection with a three year DOJ and SEC FCPA-related monitorship. United States v. Alliance One. Fortune 100 companies: Represented several Fortune 100 companies in global regulatory investigations relating to corporate fraud, corruption/FCPA issues, sanctions issues and insider trading concerns. Major accounting firm: Represented a major accounting firm, convincing the SEC not to bring charges for alleged violations of the auditor independence rules. Wall Street general counsel: Represented a Wall Street general counsel, convincing the SEC to decline to bring insider trading charges. Former head of CDO trading: Represented the former head of CDO trading at a top global bank in connection with several related criminal and regulatory and civil litigations in which no charges were brought against client. SEC v. Stoker. Multiple financial institutions: Represented multiple financial institutions in designing crisis management and global anticorruption programs. Audit and special committees: Represented many audit and special committees of public companies and private company boards of directors in connection with allegations of wrongdoing. Speaker, “FCPA Trends in the Emerging Markets of China, Russia, Latin America, India and Africa,” Gibson Dunn Webinar, January 2019. Speaker, “Hot Trends in DOJ and SEC Enforcement Litigation 2018/2019,” Sandpiper, New York City, December 2018. Speaker, “The Current State of FCPA Enforcement Efforts,” RANE Network Podcast, January 2018. Speaker, “2018 FCPA Trends in the Emerging Markets of China, Russia, India, Africa, and Latin America,” Gibson Dunn Webcast, January 2018. Speaker, “IPO and Public Company Readiness: Regulatory Compliance issues, “Gibson Dunn Webcast, November 2017. Speaker, “Are We Speaking the Same Language? Privilege Issues in Cross-Border Litigation, Investigations and International Arbitration,” Gibson Dunn Webcast, May 2017. Speaker, “The New French Anti-Corruption Law (“Sapin II”) within the Global Compliance Landscape,” Gibson Dunn Webcast, April 2017. Speaker, “Sapin II: A New French Anti-corruption and Compliance Law: Revolutionary or Reactionary?,” Paris Webinar, April 2017. Speaker, “Anti-Bribery & FCPA Compliance in the Fashion Industry,” New York City Bar Association, New York, NY, April 2017. Keynote Speaker, “Economic Empowerment For Women,” United Nations Commission on the Status of Women, New York, NY, March 2017. Moderator, “Significant Legal Developments in the Regions,” 31st Annual National Institute on White Collar Crime, March 2017. Speaker, “The Representation of Individuals in FCPA Investigations,” Duxes Anti-Corruption Compliance Summit, October 2016. Speaker, “Sports and Sponsorship Risks,” ACI Anti-Corruption Compliance Conference, July 2016. Speaker, “Evolving Ethical and Liability Challenges for Audit Committee Advisors,” PLI, June 2016. Keynote Speaker, 2014 RGL Forensics Annual Conference, May 2015. Speaker, “Securities Litigation & Arbitration Section,” Houston Bar Association, Houston, TX, February 2015. Keynote Speaker, Young Presidents’ Organization, November 2014. Speaker, “Where Trading Can Get Your Firm into Deep Trouble, And How Best to Prevent These Compliance Risks,” IA Watch Webinar, September 2014. Speaker, “SEC v. Obus: Insider Trading and Taking the SEC to Trial,” Practising Law Institute, New York, NY, July 2014. Speaker, “25th Annual Global Fraud Conference,” Henry B. Gonzalez Convention Center, Association of Certified Fraud Examiners, San Antonio, TX, June 2014. Speaker, False Claims Act Conference, New York, NY, May 2014. Speaker, “Foreign Corrupt Practices Act and International Anti-Corruption Developments 2014,” PLI Conference Center, New York, NY, May 2014. Speaker, “False Claims Act Conference: Damage Theories,” New York City Bar Association, New York, NY, May 2014. Keynote Speaker, Offshore Alert Conference, Miami, FL, May 2014. Speaker, “Recent Trends in Foreign Corrupt Practices Act Investigations, Enforcement, Litigation & Compliance,” New York City Bar Association, New York, NY, April 2014. Speaker, “2nd Annual Conference 2014: Rule of Law and Innovation,” Lawyers Without Borders, Oxford, United Kingdom, March 2014. Speaker, “Anti- Corruption and the FCPA – What Should Your Fund’s Policy Look Like?,” Hedge Fund Compliance Master Class, New York, NY, February 2014. Speaker, “The Wolf of Wall Street:Behind the Scenes of Stratton Oakmont,” Heyman Center on Corporate Governance, New York, NY, January 2014. Speaker, “Financial Institutions in the Crosshairs: The False Claims Act and FIRREA,” October 2013. Speaker, “A Guide to Anti-Corruption and the FCPA – What Should Your Firm’s Policy Look Like?,” Private Equity Operations & Compliance Forum, New York, NY October 2013. Speaker, SEC & DOJ Hot Topics 2013 Breakfast Briefing, New York, NY, December 2012. Speaker, PLI FCPA 2012 Conference, New York, NY, May 2012. Speaker, ACI National Conference on FCPA, New York, NY, April 2012. Speaker, PLI FCPA 2011 Conference, New York, NY May, 2011. Speaker, ACI FCPA-Health Sciences Conference, New York, NY, May 2010. Speaker, ACI Annual FCPA Conference, Washington, D.C., November 2008. Speaker, Legal IQ Annual Securities Litigation Conference, New York, NY, May 2008. Speaker, “Ethics and Experts,” Antitrust Law Section Symposium, New York State Bar Association, 2007. Contributing Editor, “The International Comparative Legal Guide to: Anti-Money Laundering 2018,” Global Legal Group, May 6, 2018. “Right Back Where We Started From? In Salman, the Supreme Court Clarifies the ‘Personal Benefit’ Test But Otherwise Leaves Undisturbed Insider Trading Contours,” Volume 21, Issue 1, Wall Street Lawyer, January 2017. “Developments and Trends in CFTC Enforcement,” The Review of Securities & Commodities Regulation, September 7, 2016. “SEC Moves in the Right Direction with Proposed Amendments to Rules Governing Administrative Proceedings, but the Changes Do Not Go Far Enough,” Gibson Dunn Client Alert, September 28, 2015. “Coerced Corporate Social Responsibility and the FCPA,” The International Comparative Legal Guide to: Business Crime 2016, October 2015. “Welcome News from the SEC on Forum Selection,” National Law Journal, June 1, 2015. “SEC v. Obus: A Case Study on Taking the Government to Trial and Winning,” Review of Securities & Commodities Regulation, November 5, 2014. “SEC Plans to Play Insider-Trading Cases on Home Court,” National Law Journal, September 16, 2014. Op-ed, “The Real Belfort Story Missing From ‘Wolf’ Movie,” The New York Times, January 7, 2014. “Nepotism: Friendly Relations? When Nepotism May Violate the FCPA,” The FCPA Report, October 17, 2012. “Foreign Corrupt Practices Act, Private Equity International, June 1, 2012. “Does That Settle It? Well, Maybe Not,” National Law Journal, April 9, 2012. “Private Equity Investment and the FCPA,” Review of Securities and Commodities Regulations, Fall 2011. “Insider Trading: It’s Not for Suits,” Law Journal Newsletters, December 2010. “Six Ways a Board Can Manage FCPA Risk,” Corporate Board Member Magazine, October 1, 2010. “UK Serious Fraud Office Discusses Details of UK Bribery Act with Gibson Dunn,” Gibson Dunn Client Alert, September 7, 2010. “Erosion of the Fiduciary Duty Requirement in Insider Trading Actions,” Securities Litigation Journal, American Bar Association, Spring 2010. “Narrow, Don’t Abolish: The Facilitating Payments Exception to the FCPA,” New York Law Journal, July 8, 2010. “Mutual Fund Litigation Triggered By the Credit Crisis,” The Review of Securities & Commodities Regulation June 3, 2009. “Under the FCPA, Who Is a Foreign Official Anyway?,” The Business Lawyer, 2008. “Due Diligence Under the Foreign Corrupt Practices Act: Defining a Foreign Official,” Clifford Chance US Regulatory & White Collar Update, 2008. “Anti-Money Laundering Laws and Regulations for Broker-Dealers: Spotlight on Foreign Broker-Dealers,” Clifford Chance Client Memo 2008. “The U.S. Foreign Corrupt Practices Act and its Application to Foreign Companies that Do Not Issue Securities in the U.S.,” Clifford Chance Client Memo 2008. “Five Things to Know About the FCPA,” Corporate Compliance Zeitschrift, January 2008. “SEC on Corporate Penalties: Two Steps Forward, One Step Backward,” New York Law Journal, February 2006. “Toward True Deterrence of Government Misconduct,” New York Law Journal, October 2004. “Regulation FD,” New York Law Journal, October 2002. “SEC Gives Ground on Judges,” WSJ.com, September 24, 2015. “American Greed,” CNBC, March 5, 2015. “White Collar Group Of The Year: Gibson Dunn,” Law360, February 5, 2015. “Securities Group Of The Year: Gibson Dunn,” Law360, January 29, 2015. “Litigators of the Week: Joel Cohen of Gibson, Dunn & Crutcher; Mark Cohen of Cohen & Gresser; and Roland Riopelle of Sercarz & Riopelle,” AmLaw Litigation Daily, June 5, 2014. “SEC Loses Insider-Trading Case,” The Wall Street Journal, May 30, 2014. “After Fighting Insider Trading Charges for 10 Years, a Fund Manager Is Cleared,” The New York Times, May 30, 2014. “12 Years Later, a Fund Manager Gets to Give His Side,” The New York Times, May 27, 2014. “Nelson Obus’s Lawyer Says His Client Is Honest or the ‘Lamest Insider Trader in History’,” The Wall Street Journal, May 19, 2014. “NY fund manager made insider trading ‘jackpot,’ SEC tells jurors,” Reuters, May 19, 2014. “The Wolf Hound Of Wall Street: Joel M. Cohen on Jordan Belfort, White Collar Work, And Corruption,” Forbes, May 6, 2014. “Inside Money: The real sheep of Wall Street?,” The New Zealand Herald, January 14, 2014. “Prosecutors Give Poor Reviews to Restitution From ‘Wolf of Wall Street’,” WSJ.com, January 12, 2014. “Jordan Belfort: The real wolf of Wall Street and the men who brought him down,” The Independent, January 12, 2014. “Boulton and Co.,” Sky News, January 10, 2014. “The Wolf of Wall Street: Why we like a villain,” BBC News, January 9, 2014. “‘Wolf of Wall Street’ prosecutor says film glorifies Belfort,” Fox Business, January 9, 2014. “Blockbuster Backlash,” CBS Morning News, January 8, 2014. “The Wolf of Wall Street Glorifies Crook’s Misdeeds Critics Say,” CBS Insider News, January 8, 2014. “‘Wolf of Wall Street’ Prosecutor Lambasts the Movie – Joel Cohen on Jordan Belfort,” WSJ.com, January 2, 2014. “Gibson Dunn teams with Lawyers Without Borders on Kenyan anticorruption effort,” National Law Journal, August 21, 2012. “Pro Bono Hot List,” National Law Journal, January 2, 2012. “The Curious Case of Nelson Obus,” The New York Times, Sunday Business Section Feature Article, June 5, 2011. “Attorneys from Gibson Dunn Tally 9,000 Hours in Day Laborer’s Cause,” National Law Journal, March 24, 2011. “Danbury 11,” Editorial, The New York Times, March 14, 2011.